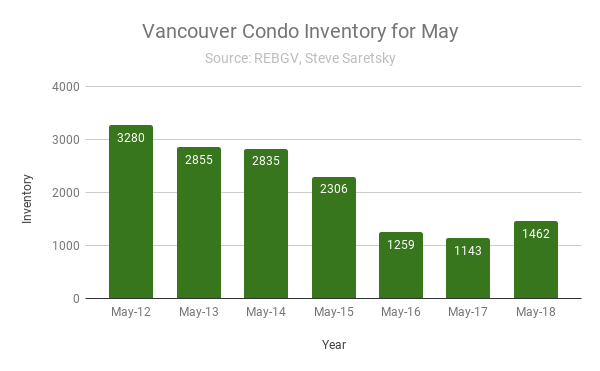 Following a rather quiet month of April, which saw Vancouver condo sales slip to a five year low, it appears that trend has continued in May. Vancouver condo sales inched in at just 534 sales, the fewest sales recorded for the month since May 2013. The decline marked a 28% drop on a year over year basis. 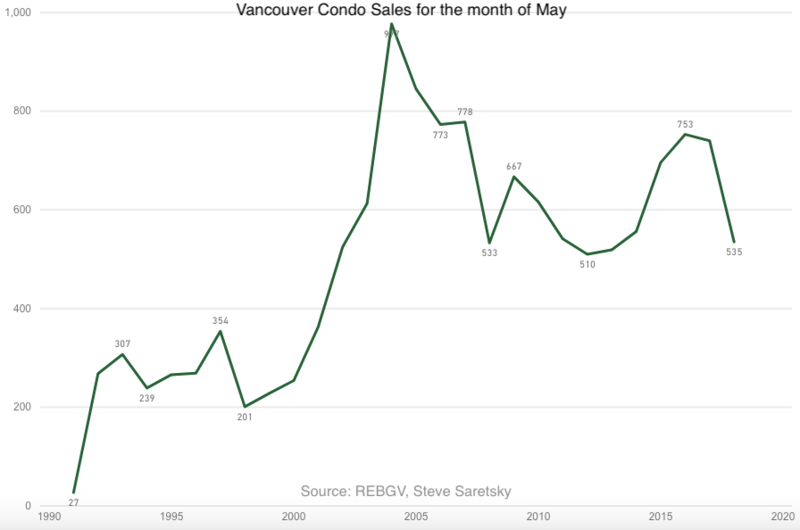 Vancouver condo sales for the month of May. 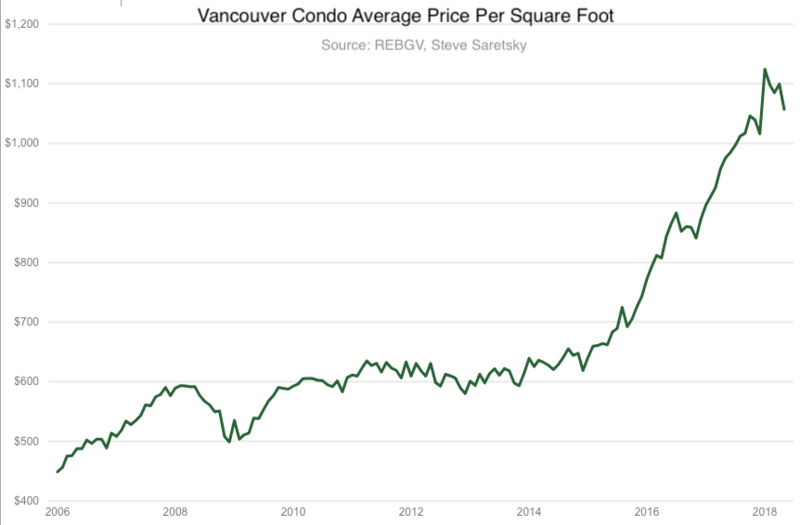 This is a particularly noteworthy decline considering the condo market has been the engine driving the entire Vancouver Real Estate market for the past eighteen months. The drop in sales likely has a strong correlation with mortgage credit growth decelerating to its slowest pace since 2001. Just last week CIBC announced they are expecting new mortgage originations to decline by 50% in the back half of this year. To add to that, RBC Capital Markets wrote in note to readers this week that they expect annual mortgage loan growth to slow from 5.3% year-over-year today to 2-3% over the next couple years. While prices in the Vancouver condo market remain robust, the MLS benchmark highlights 14% growth on a year over year basis, it appears growth has been rather benign. The average price per square foot, which has been a strong indicator of current market prices, has been bouncing around in recent months with little to no growth. Multiple offers are still fairly common, yet buyers seem unwilling to push prices any higher. The percent of condo listings which sold over the asking price inched down to 35%, a drop from 51% recorded last May. As a result of slowing sales, inventory has finally begun pushing higher. Total inventory for sale surged 28% year over year, a two year high. Vancouver Condo Inventory for May. Make no mistake, inventory remains incredibly low which is helping to support condo prices. However, with weak sales volumes and new listings on the rise, up 22% this month, price relief could be on the way for buyers.